WrestleMania 35 is just a few weeks away, and as the last few details sort themselves out for the biggest WWE show of the year, a handful of stars have gone above and beyond in their push to make the biggest splash on April 7. 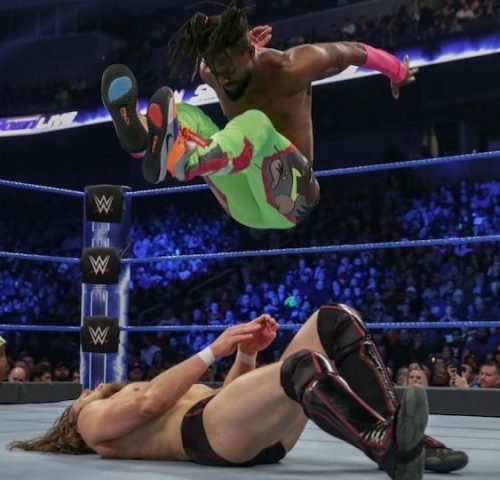 Kofi Kingston, in the midst of the biggest moment in his career with a likely (if bumpy) path to a WWE championship match at WrestleMania, has made the most of every opportunity that’s come to him over the last two months. From his last-minute entry in the Elimination Chamber, to his eye-popping gauntlet match performance, to all of the character work Kingston and The New Day have done opposite Vince McMahon, there’s no denying the natural groundswell behind a long-overlooked superstar.